Tracking SNC-Lavalin’s involvement in Site C during recent years has been difficult, but Charlie Smith, editor of The Georgia Straight, has filled in some of the missing information. That didn’t dissuade the B.C. Premier from going forward. 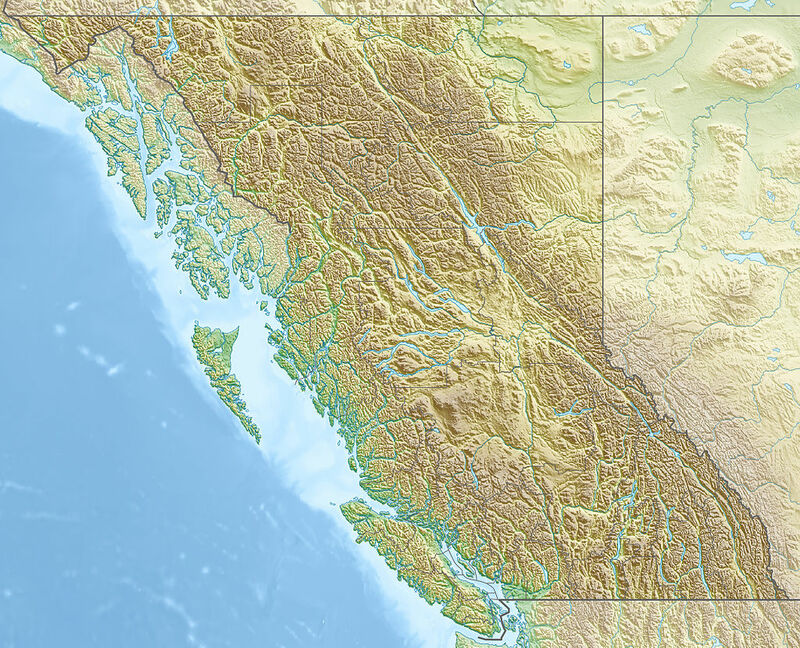 On December 16, 2014, the Christy Clark provincial government gave approval for Site C, despite recommendations by the Joint Review Panel (JRP), which had concluded two months previous that Site C’s hydropower was not needed in the time-frame that BC Hydro was arguing. (Recall that the Stage 2 report had claimed a 20-40% increase in demand over the next 20 years.) JRP member Harry Swain had concluded that demand for electricity in B.C. has been flat dating back to 2005. While the newly elected B.C. NDP government in 2017 debated the cancellation or suspension of Site C, the Financial Post reported that Montreal’s SNC-Lavalin is “part of the lead design team for the [Site C] project.”  That little-known contract may have been signed much earlier. That comment would suggest that the lead design contract had quietly been issued to SNC-Lavalin and Klohn Crippen Berger sometime in 2015. The full story of Iacobucci’s role in the SNC-Lavalin scandal has yet to emerge, but it’s clear that the Trudeau government has been exceedingly accommodating to the company’s wishes. In two slightly different chapters within two recent books, I have argued that the Site C dam on the Peace River is perfectly placed to facilitate bulk water export east of the Rockies and into the American Southwest. Readers can consult my Chapter 10, “Water Export: The Site C End-Game” in editor Wendy Holm’s Damming the Peace: The Hidden Costs of the Site C Dam (Lorimer 2018), and the chapter entitled “Site C and NAWAPA: Continental Water Sharing” in my latest book Bypassing Dystopia: Hope-filled Challenges to Corporate Rule (Watershed Sentinel Books 2018). SNC-Lavalin’s involvement in Site C has been so well-hidden that the company name does not appear anywhere in Damming the Peace. But by the time I was writing the water-chapter for my own book, SNC-Lavalin’s connections to Site C were becoming clear enough for me to state that the company “is intricately involved in Site C”. Only now are we learning just how involved they are. SNC-Lavalin has had its eye on continental water-sharing for at least three decades. Back in the 1980s the SNC Group (as it was called at the time) was part of a consortium called Grandco, which was promoting a continental water-sharing plan entitled the Grand Canal Project. Grandco’s other consortium members included the UMA Group of Calgary, Underwood McLellan Ltd. of Saskatoon, Rousseau, Sauve & Warren Inc. of Montreal, and Bechtel Canada Ltd. (son of U.S. Bechtel, the world’s largest engineering firm). Grandco’s head lobbyist was Canadian financier Simon Reisman (uncle of current Bilderberg member Heather Reisman). After Simon Reisman publicly advocated for Canadian water export, Prime Minister Brian Mulroney (himself an advocate for large-scale water exports) appointed him as Chief Negotiator for the 1988 Canada-U.S. Free Trade Agreement (FTA), the predecessor to NAFTA, signed by Jean Chretien in 1994. Both the FTA and NAFTA essentially strip Canada’s sovereign right to protect our water resources and make Canada vulnerable to massive water export. A similar scenario is being played out in Quebec with Hydro-Quebec’s massive $5 billion Romaine Complex, which is damming the River Romaine and flooding 100 square miles of land; in Newfoundland where the Muskrat Falls mega-dam project “boondoggle” is now the subject of a public inquiry; in Manitoba where several mega-dam projects are poised to flood First Nations land. Now, thanks to the Trudeau government’s Mid-Century Long-term Strategy, that same scenario is poised to repeat itself many times in the coming years. In 2017, the Trudeau government released its Mid-Century Long-Term Strategy (MCS) intended to reduce emissions of greenhouse gas (GHG) at rates to comply with its Paris Climate commitments. Once all that water has been impounded behind the dams, it is subject to NAFTA treatment (including in the rewritten USMCA agreement) as a tradable “good” or commodity. Chrystia Freeland and the negotiators for the USMCA did not secure an explicit exemption for water under the goods, services, and investment provisions of the deal. According to Bill C-6 (which became law in 2001), as Minister of Foreign Affairs, Freeland has water-export licensing authority and can issue permits for water export. The Blackstone Group is just one of many investment firms eyeing Canada’s freshwater resources. The Bank of America Merrill Lynch – which designed the Canada Infrastructure Bank – has predicted a global water market worth $1 trillion by 2020. Obviously, SNC-Lavalin wants to be in on all that MCS hydroelectric development and other projects to be financed by Trudeau’s Canada Infrastructure Bank in the coming years. But if they have to face prosecution, the company risks being barred from federal contracts for ten years. The Trudeau government says it is attempting to protect SNC-Lavalin jobs. That may be true, but it is also likely that the Trudeau government is attempting to protect its long-term vision for Canada: a vision that jettisons “reconciliation” and the environment in favour of damming the country and then draining it. Freshwater has been turned into a commodity and it will be worth far more than oil or gold in the near future. Follow the money. That’s what SNC-Lavalin is doing. “The Site C Dam: a Timeline,” The Narwhal, December 12, 2017. Charlie Smith, “Does Andrew Weaver’s response to Site C justify his removal as head of the B.C. Greens?” The Georgia Straight, December 15, 2017. Quoted in “Site C dam project moving forward on Peace River,” The Canadian Press, April 19, 2010. Lisa Sammartino, “SNC-Lavalin tentacles reach deep into B.C.,” dogwoodbc.ca, February 25, 2019. Bob Mackin, “Ex-Head of Troubled SNC-Lavalin Named Chair of BC Crown Corp,” The Tyee, May 5, 2014. “Public Risks, Private Profits: Profiles of Canada’s Public-Private Partnership Industry,” Polaris Institute & CUPE, June 2013. Andrew Nikiforuk, “Redeemable? SNC-Lavalin’s Criminal Record,” The Tyee, February 22, 2019. Jesse Snyder, “’It’s going to cost a fortune’: Cancellation of $8.8B Site C dam would scrap billions of dollars in contract work,” The Financial Post, June 2, 2017. Warren Frey, “UPDATED: Site C’s virtual construction a complicated endeavour,” Journal of Commerce, February 21, 2018. 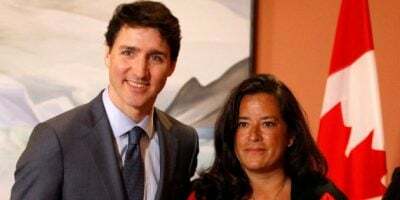 Christopher Reynolds, The Canadian Press, “Here’s what a 10-year ban on federal contract bids would mean for SNC-Lavalin,” Toronto Star, March 7, 2019. Ross Marowits, “SNC-Lavalin Gets OK From Ottawa To Bid on Contracts, Despite Criminal Charges,” The Canadian Press, December 10, 2015. “’Political grandmaster’ Frank Iacobucci is at the center of SNC Lavalin, Kinder Morgan scandals,” The Buffalo Chronicle, March 11, 2019. David Schindler, “Will Canada’s Future Be Dammed? Site C Could Be the Tip of the Iceberg,” chapter in Wendy Holm, editor, Damming the Peace: The Hidden Costs of the Site C Dam, Toronto: James Lorimer & Co., 2018.